The walk starts at Rosthwaite Village, as that’s where the most abundant parking is. 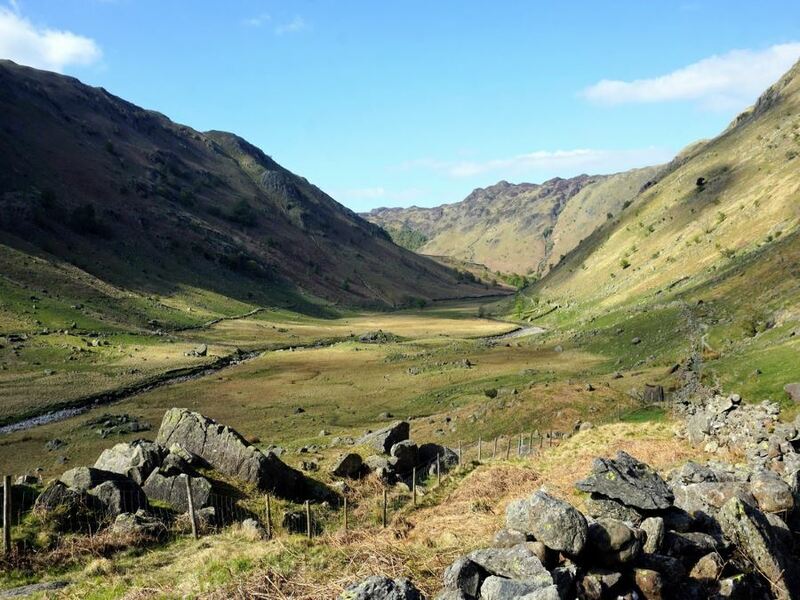 This walk can be improved if you can find parking and start in Stonethwaite (though there is limited parking). Get to Rosthwaite by car by going south on B5289. Follow the signs to park at the parking lot by the Village Hall in Rosthwaite. From the National Trust Parking lot in Rosthwaite, return to the B5289 and turn right (south). Walk along a path at the side of road for roughly 10 minutes, and turn left when you see a road on your left, signed to Stonethwaite. 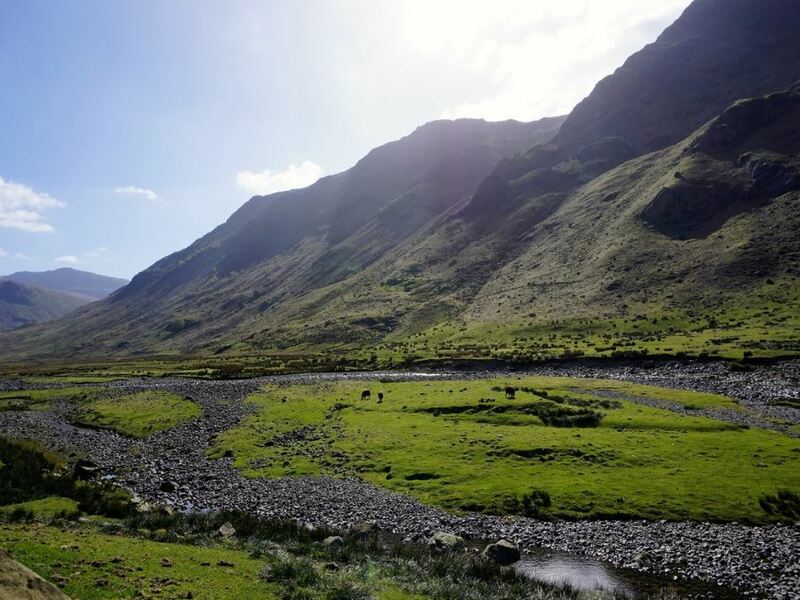 Take this road until you reach the town of Stonethwaite. 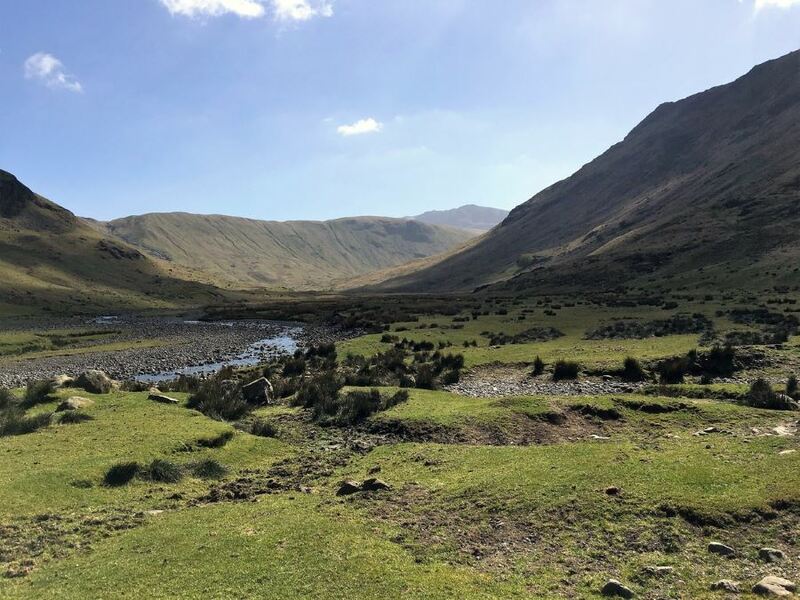 Continue past the cute little village, passing the Langstrath Hotel and follow the route leading beyond. You can either take the main route, a rocky road that slowly disintegrates or else make your way along the river, taking public footpaths and passing many gates. For the rest of the walk, a good rule of thumb is to keep the stream on your left. 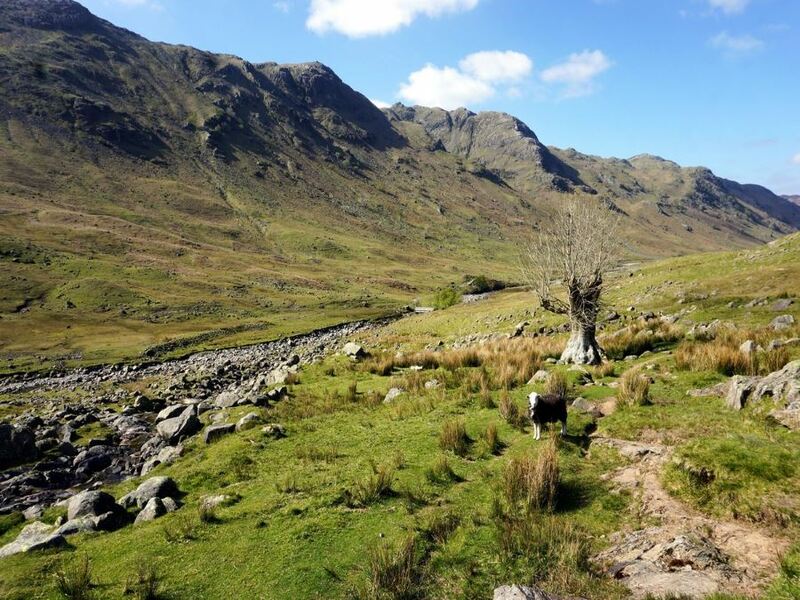 At the start you will be walking along a Stonethwaite Beck (a little stream) and continuing straight ahead. You will continue past a campsite, and from here on in the walk becomes a true pleasure. 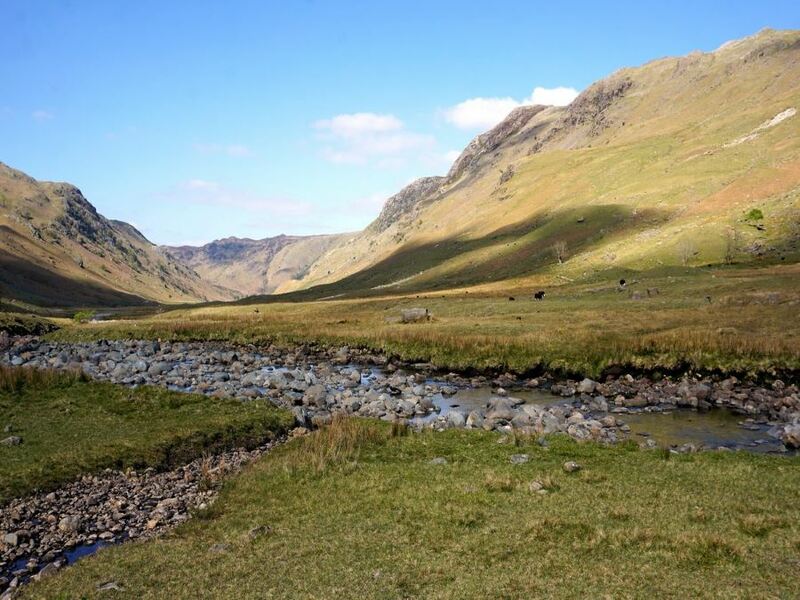 As you advance, look out for a path that veers off to the right, heading up the Langstrath Valley. After about 3.5km the path will come to another stream, Longstrath Beck, coming down from your right. 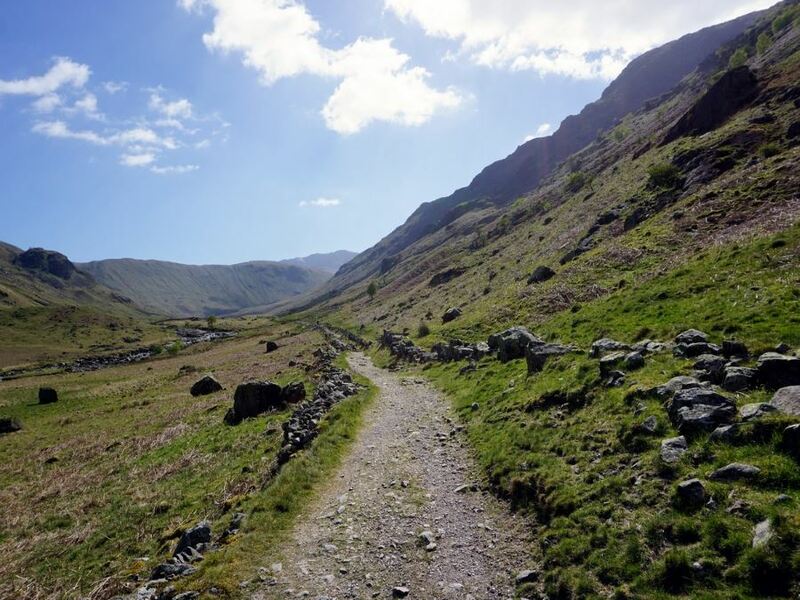 Follow the path as it curves to the right, heading uphill as it meanders up the stunning, hidden Langstrath valley. The walk up and then back down this valley is the highlight of the walk, so savour this route. After roughly 6.4km, you come to a bridge crossing Longstrath Beck. Cross this bridge, and you can return immediately along the path going left, heading back down the valley. You will also notice a path leading up to your right, crossing over a bridge and then heading uphill in the direction of Mansey Pike.  This is an excellent walk if you have the energy. We recommend to at least walk up to this second bridge, as it allows the views of the valley to unfold before you, making the trip truly memorable. From the second / upper bridge, turn back down the valley and walk back along Longstrath Beck, keeping the stream on your left. This path strays farther from the river as it heads back down the valley. 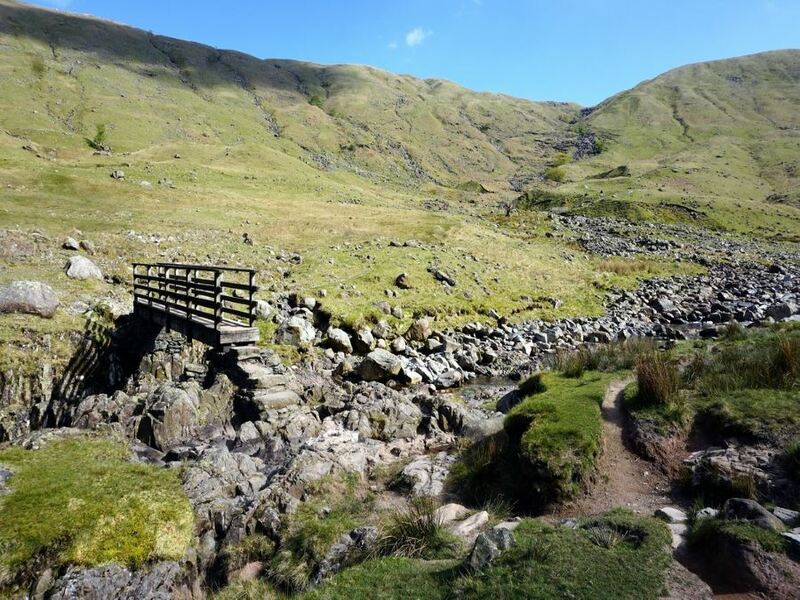 Upon reaching the end of the valley, you will encounter another bridge over Greenup Gill (which leads into Stonethwaite Beck). Cross over the bridge and turn left, returning with the river on your left. 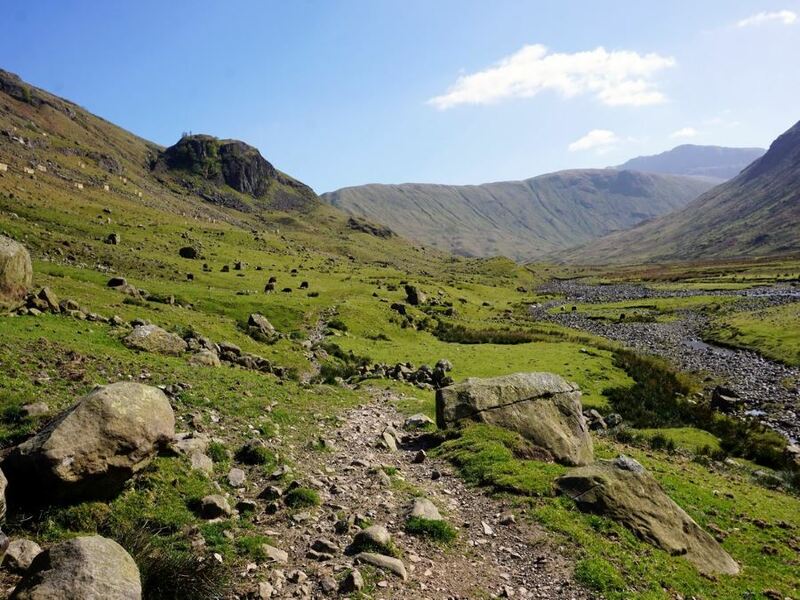 As you head downhill you will see Stonethwaite on your left. Continue on down the path, eventually turning into a track as you get close to your starting village of Rosthwaite. When you come to a bridge, turn left, crossing the bridge and walking down Howe Lane to the B5289. Here, you turn left again before making a quick right back to the narrow street leading to the car park. 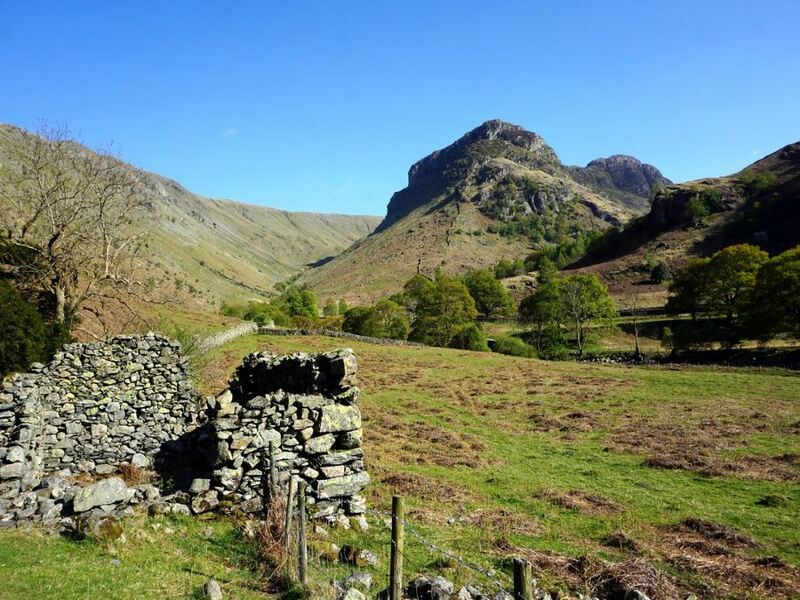 Shorten this walk and focus only on the wonderful Langstrath Valley by parking in Stonethwaite by the red call box. There is limited parking here, however it makes the walk shorter without missing any of the great scenery. 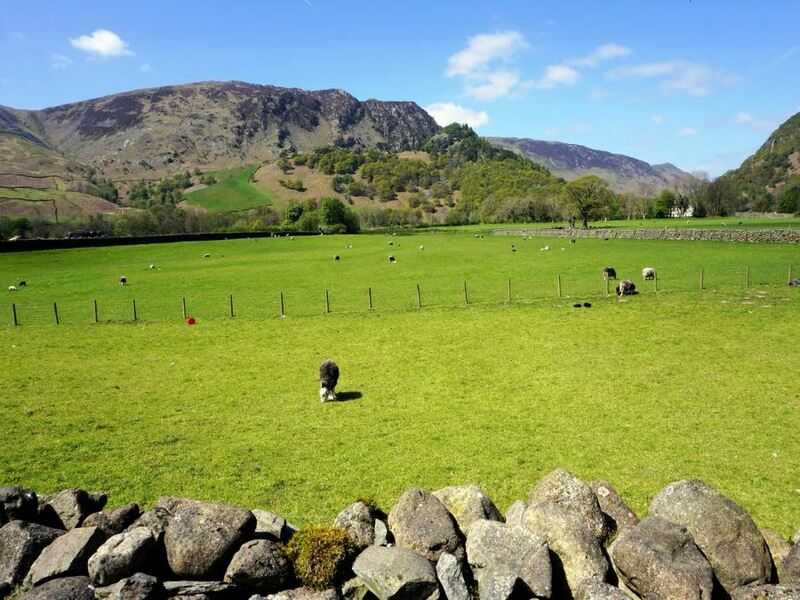 There is camping after the village of Stonethwaite in a National Trust Campground, however caravans are not allowed. This walk has lots of stones to walk over, and poles are useful for stability. 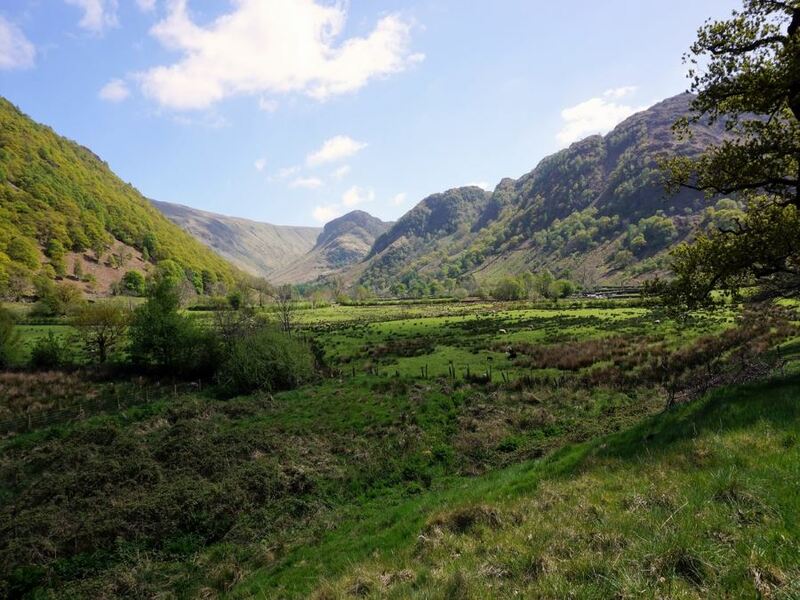 You can get to Rosthwaite on the #78 Bus from Keswick to Seatoller.